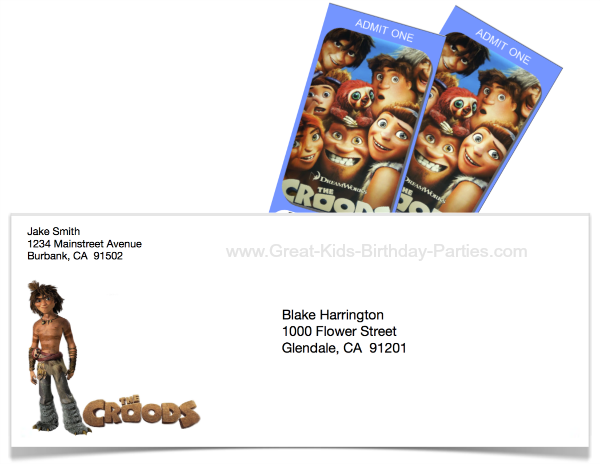 Get ready for The Croods birthday invitations, party favors, games, cakes and everything else that comes along with planning a children’s birthday party because kids are loving the newly released The Croods movie. This animated adventure comedy is full of prehistoric fun and discoveries like fire, shades and shoes, not to mention all the colorful prehistoric creatures. 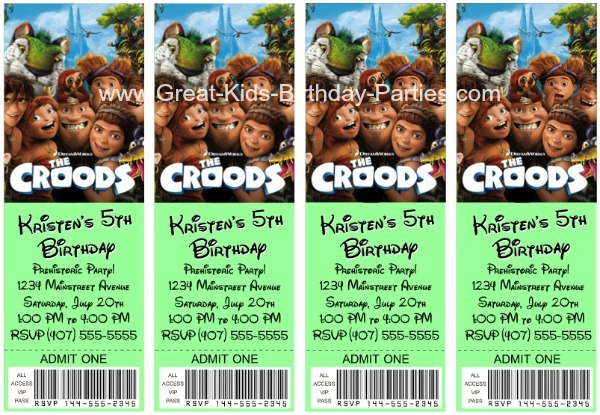 Start the excitement and anticipation for your party with some creative and unique The Croods birthday invitations. Wow your guests with cool invitations and wow yourself by making them for free. 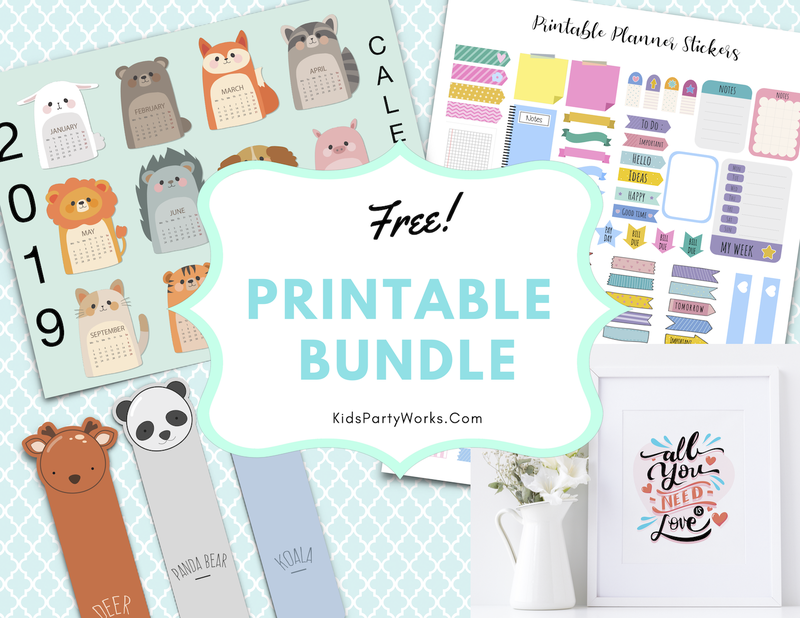 These printable invitations are fun and easy to make and literally ready in minutes. 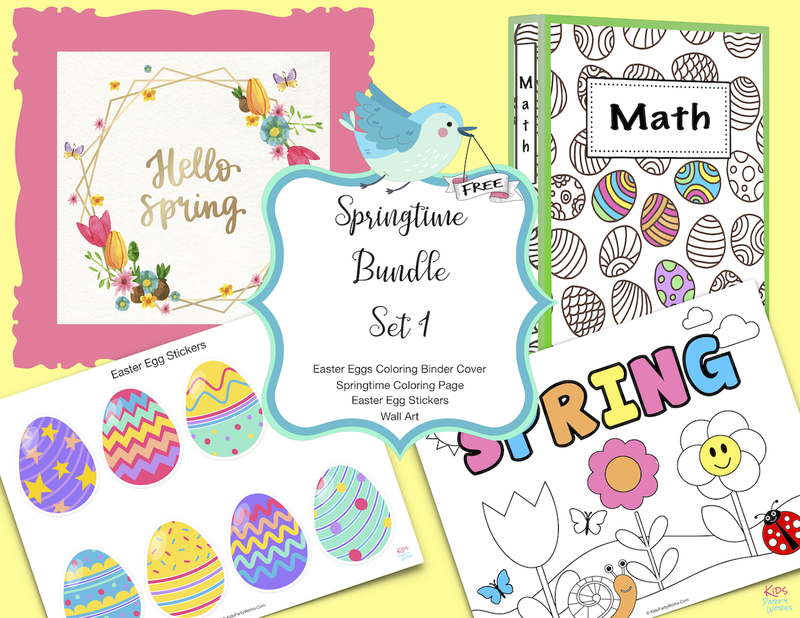 Below are some examples of what you can make. Notice there are a variety of styles. 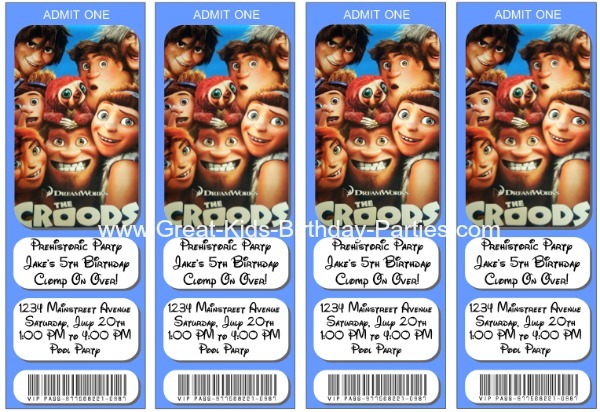 The font on the first 2 invitations (Style 3 and Style 2) is the Disney font they provide. Invitations 2 and 3, both Style 2, have different fonts. Invitations 4 and 5 are different styles and different fonts. We wanted to show you these invitations first so we could give you an idea of the possibilities. While there are 9 styles, I find the ones above the most versatile. What are the pros and cons of these invitation templates? 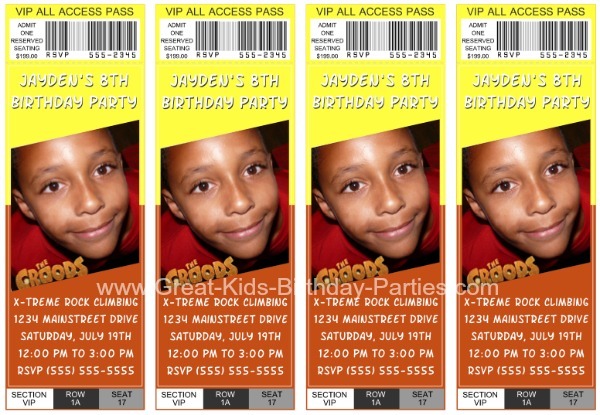 Can print from 1to 4 birthday invitations per sheet. Easy editing buttons (can change size, rotate, move up & down and side to side). Use any image you want. 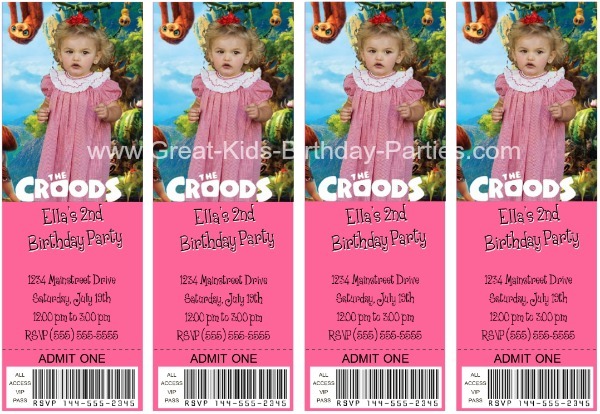 You can use a party theme image from the Internet or the birthday child's picture. The only thing you need before you start is the image that you want to use. No need to be precise with image size because you can increase and decrease size when you are editing. Use card stock paper (thicker than regular copy paper) for a more professional customized look. All 9 invitation styles DO NOT have the same color and font options. For example, if you want to use the Disney font then Style 8 is not an option. Use the big arrows and big "+" and "-" signs for bigger movement. Use the smaller arrows and signs for little changes. Each ticket measures 6 5/8" (16.8 cm) long by 2 1/4 wide (6.4 cm). Set printer to "best" quality for brighter look. Are you ready to begin making your own birthday invitations? 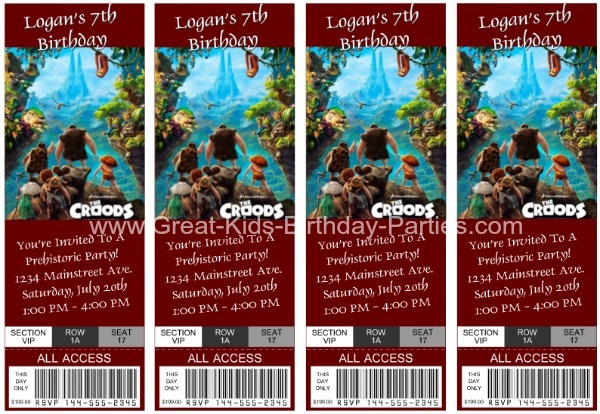 Then click here and have fun creating your own free ticket invitations. You will be amazed at how quickly you can make them. Need An Envelope For Your Ticket Invitation? (4 invitations per sheet) HERE. Below are the envelopes for the invitations above. They are the same envelope with a choice of white (budget-friendly due to less ink) and bright green. 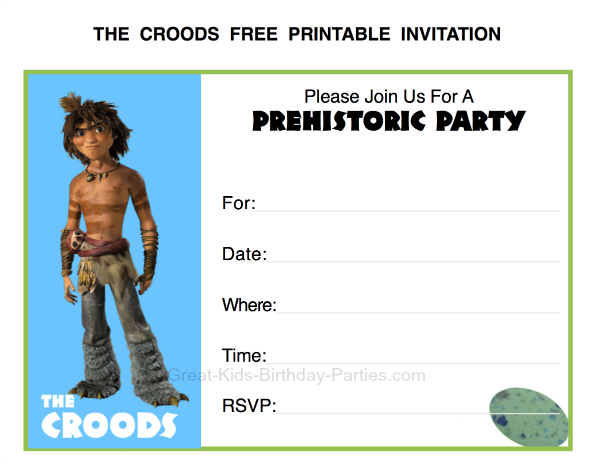 Download The Croods Invitation Envelope HERE. 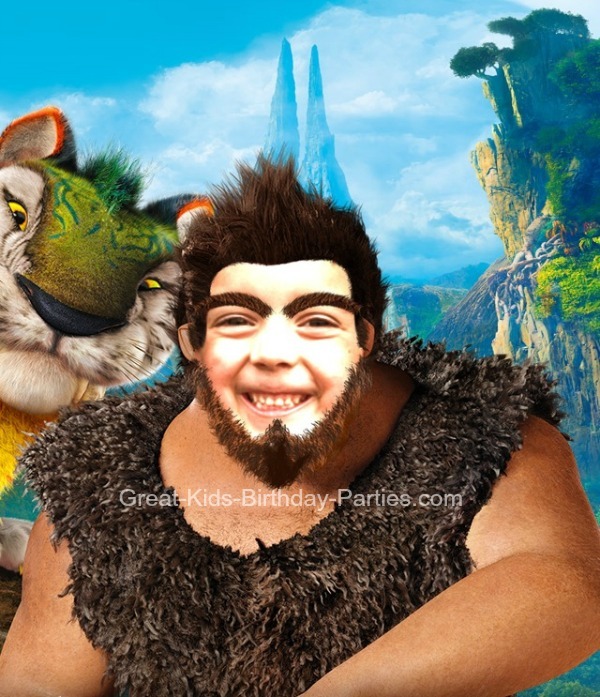 Does your child want to be part of The Croods family? If Yes, then Crood-ify them! 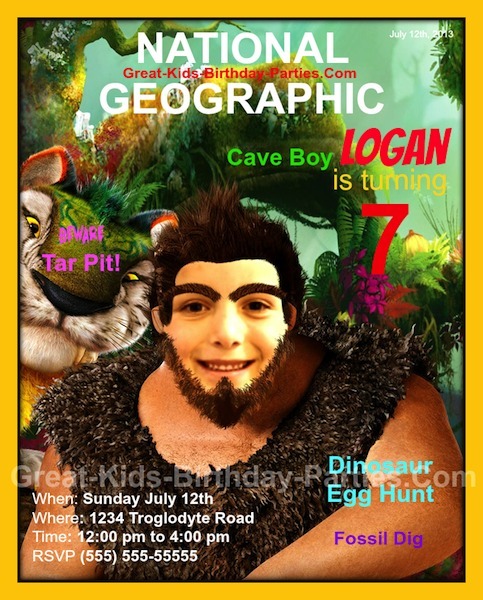 Turn your child into a prehistoric cave dweller using a smartphone Free App called Crood-ify Yourself. 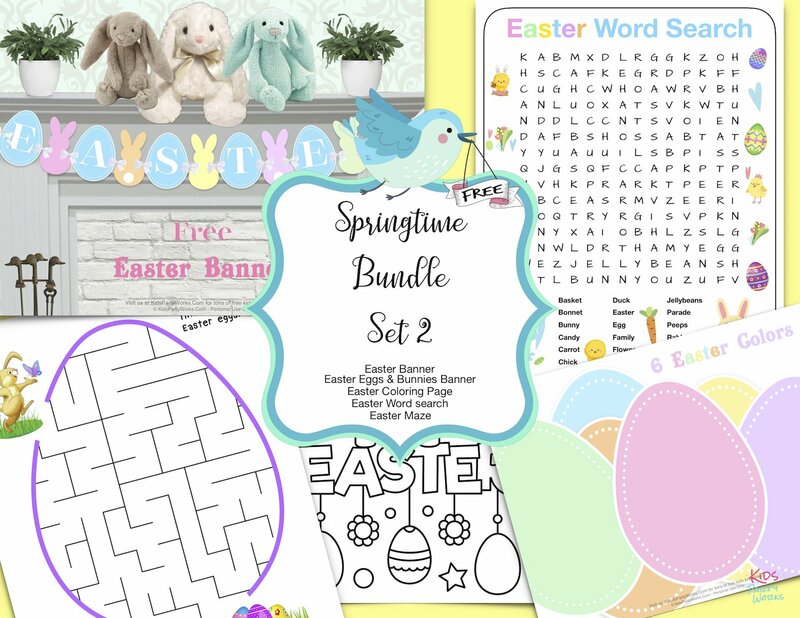 It's fun, easy to use and has choices of different characters and backgrounds. These instructions are for use with an iPhone, but it works with any smartphone, except the steps might be different. 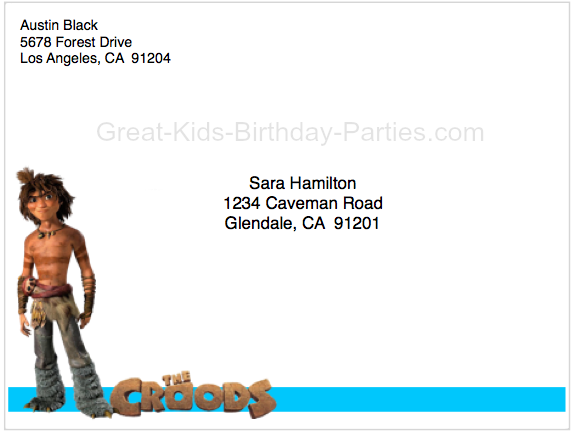 The idea is to have the picture you want on your phone so you can upload it to the Croods photo booth. Find the image you want. This Croods App lets you re-size and rotate your image to fit the digital photo booth. First you need to put your image on your phone. If you have it on the computer then you can email it to yourself. Once you have emailed the picture you like to your email address, open the email on your smartphone (or someone's smartphone). Then take a screenshot, which automatically goes to your camera roll. Now go to the App store and download the Crood-ify Yourself Free App. Choose your picture from your camera roll. To do this, click on "load camera" which then takes you automatically to your camera roll so you can get your picture. It also gives you the option of taking a photo. Adjust picture by resizing and rotating picture until you like how it looks. It might take a few tries to get it just right. But since it's free and fun, you can do it as many times as you want. Once you have the Crood-ified picture you want, save it. It will automatically be saved to your camera roll. Simply reverse the process to get the picture back onto the computer to make your invitation. That is, choose picture from your camera roll and send to your email. Open your email and drag picture to desktop (for Mac users). Now you're ready to use your Crood-ified picture for your invitation. 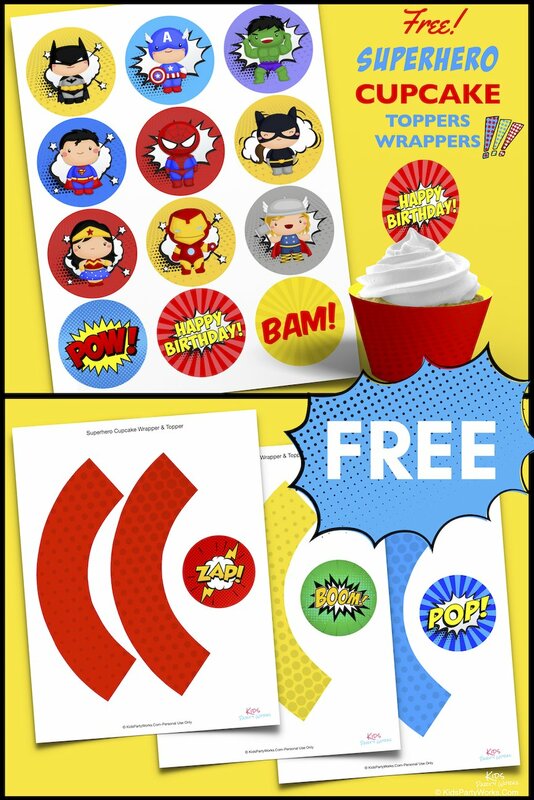 You can also use it to make party labels or stickers. A fun activity might be to send instructions with the invitations to have all your guests crood-ify themselves. Then bring pictures to the party and hang them up on a line (or string from one side to the other)for all to see. You can also play games or have kids add their picture to a collage. Note: Not everyone might have access to smartphone or computer. Have blank Crood-ify characters by taking a screen shot of the screen right before you choose your picture. You know, when it looks like a photo booth and it has the face cutout. 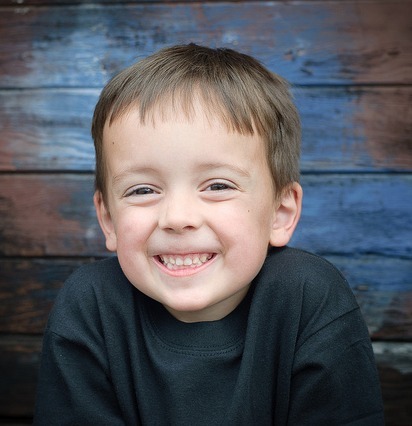 Have children bring a picture of themselves where their head is no bigger than a quarter (25 cents). Or print out a larger version but don't cut out the face space. Instead have your guests draw themselves. I've always tried to be very careful to include everyone in the party. No one wants to be left out so make doubly sure that everyone has the things needed to make their crood-ified picture, otherwise print blank ones and let everyone draw their own face. 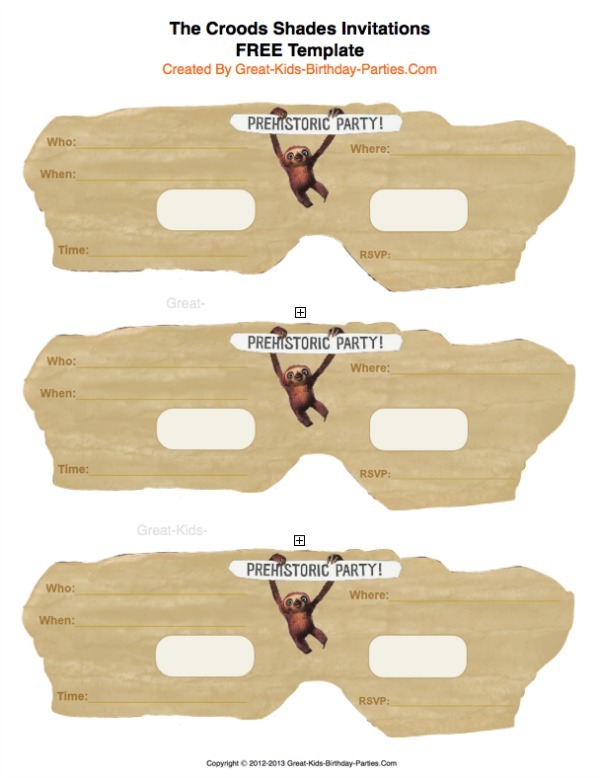 Another fun idea is to include cavemen eyebrows (made from felt or sticker paper) with your invitation and instruct all your guests to wear their eyebrows to the party. 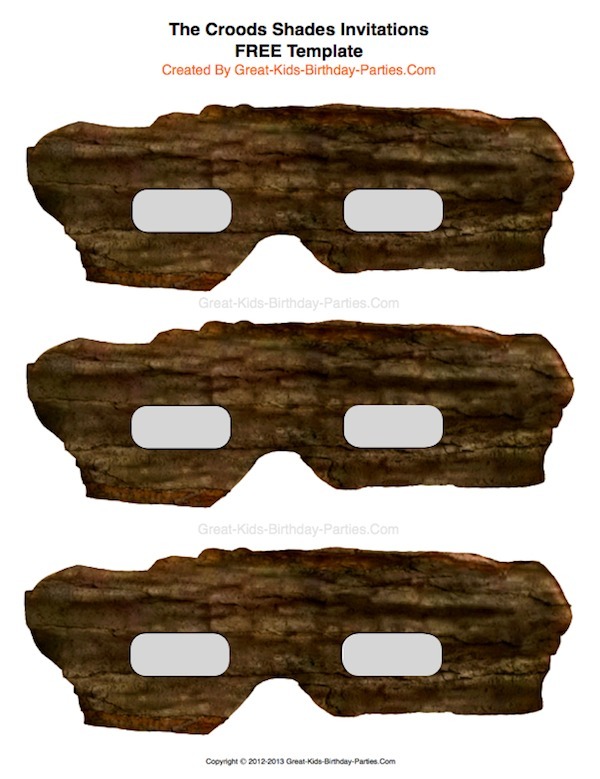 If you can, include an extra pair for adults who plan to stay at the party. Oh, this can be so much fun! Your Child on the Cover of a MAGAZINE? YES, YES, YES!!! Your child on the cover of "Any" magazine you want because you can make it yourself! 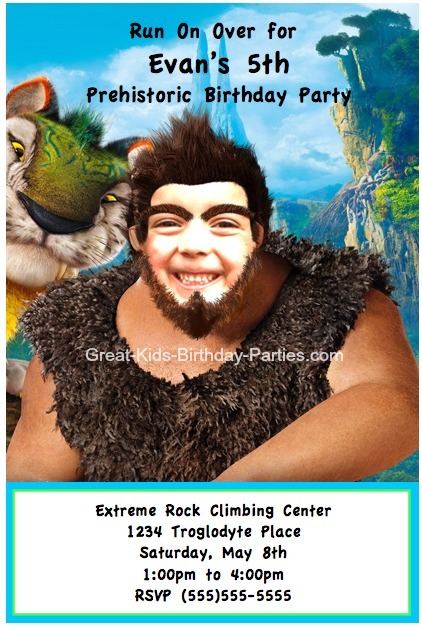 Make these creative and fun birthday invitations for your Croods party. 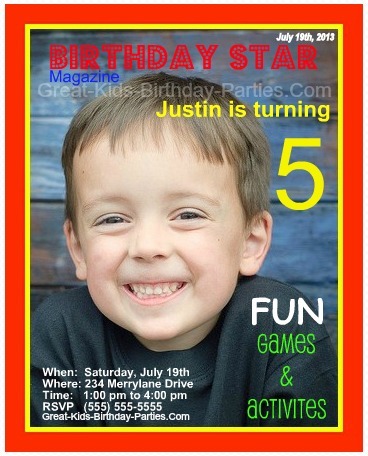 If you would like something simpler yet creative, make a birthday magazine cover as your invitation. 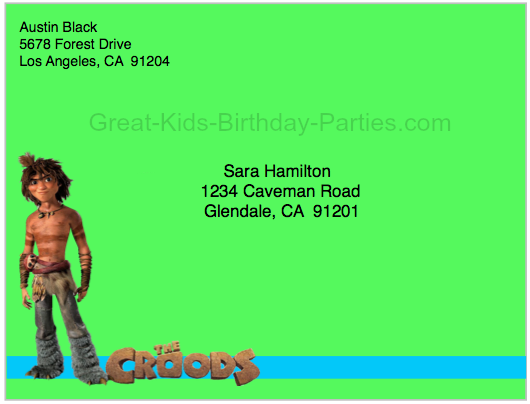 Whether you decide on the caveman cover or the birthday cover, type the birthday information right onto the cover and print on card stock. A photo tutorial will be available in the coming days but if you can't wait to get started, go here and start playing around with the editing options. Have the photo you want to use ready on you computer for easy access. 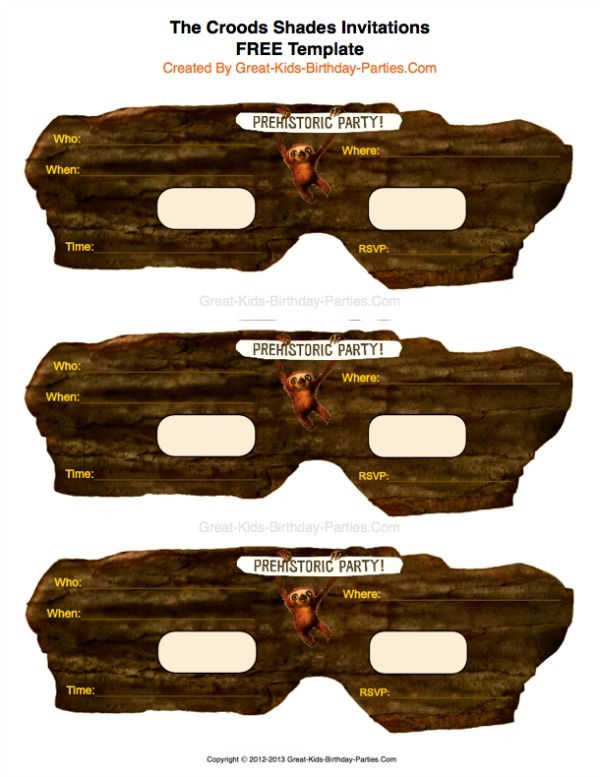 Look at these "The Croods" birthday invitations, aren't these shades invitation fun? Much more creative than your traditional party invitations and way cooler (as my daughter says) than your traditional party invitations. They also double as a mask by making small hole punch on either side and adding stretchy cord or thin elastic. Note: Adding the elastic will make the "shades" appear more like a superhero mask as it will wrap around the front of the face but it's still fun. 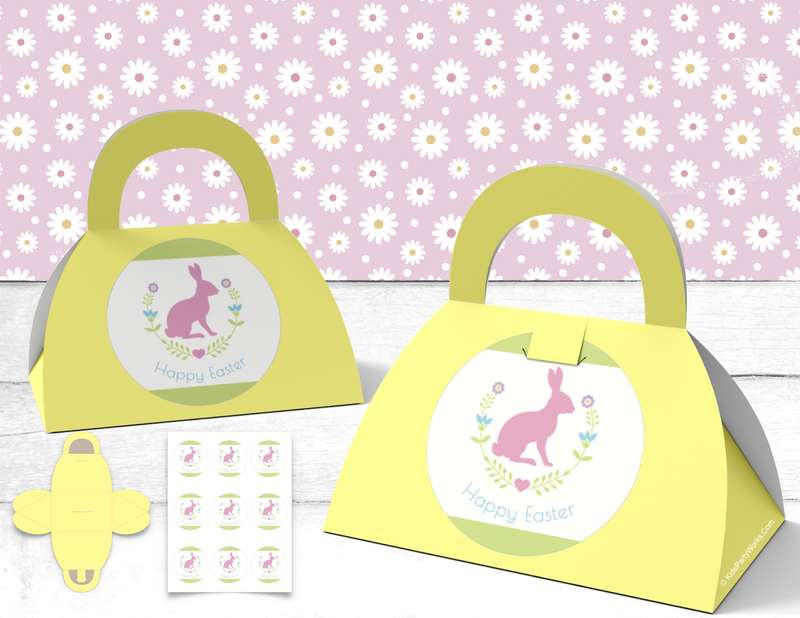 Download and print the front of the shades and then choose either the brown or sand colored back. The "brown back" matches the front but you need a pen or marker for dark surfaces like a gold or silver thin-tipped sharpie. The last 2 images below are the same back "fill-in-the-blank" template except for their color. The sand colored template was designed to save on ink. Use regular pen or marker. Once you have downloaded and printed your front and back shades pieces, glue them together with the 2 printed sides facing out. If you want to take an extra step, add a piece of vellum (translucent paper) in clear or colored and glue the vellum in between the front and back pieces to make a more realistic pair of sunglasses. You can also use a clear plastic book report cover (the one with the sliding bar on the side). Cut 2 rectangles slightly larger the eye opening and glue.